A match is not lost till the last ball. 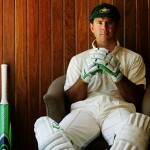 Yet, there are tense moments in the dressing room as well as the crowd, irrespective of whom they are supporting. Everybody is biting their nails off. The batsman at the striker’s end has to face the heat. The bowling team must be giving out a huge sigh of relief but still focused in stopping the boundary or six required off the last ball. The bowler and the batsman have nothing to lose in this situation, as they try to give it their very best and then think of finally ending this drama. Javed Miandad will go down as the greatest Pakistani batsman to have ever played the game and one of the finest in his era. This is primarily because of his famous last ball six against archrivals and then world champions India in the Australasia Cup final at Sharjah in April 1986. 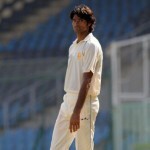 Pakistan captain Imran Khan won the toss and chose to field first, as he relied on his team’s strength rather the opposition’s, which is bowling. But India batted extremely well with the top 3, i.e. Kris Srikkanth, Sunil Gavaskar and Dilip Vengsarkar all got fifties with Gavaskar continuing his fine form. India finished with 245/7 in 50 overs, which was in those days as good as 300. Pakistan’s task became even more daunting with none of the batsmen apart from Miandad making a big score, as Mohsin Khan’s 36 was the next best score. The match was in India’s grasp with the ninth wicket falling as Pakistan then needed 5 runs off the last 2 balls. Fortunately, the No.11 Tauseef Ahmed took a single to give Miandad the strike on the last ball. Chetan Sharma, the Indian fast bowler who was bowling extremely well throughout the match and the tournament altogether, choked at the last minute. 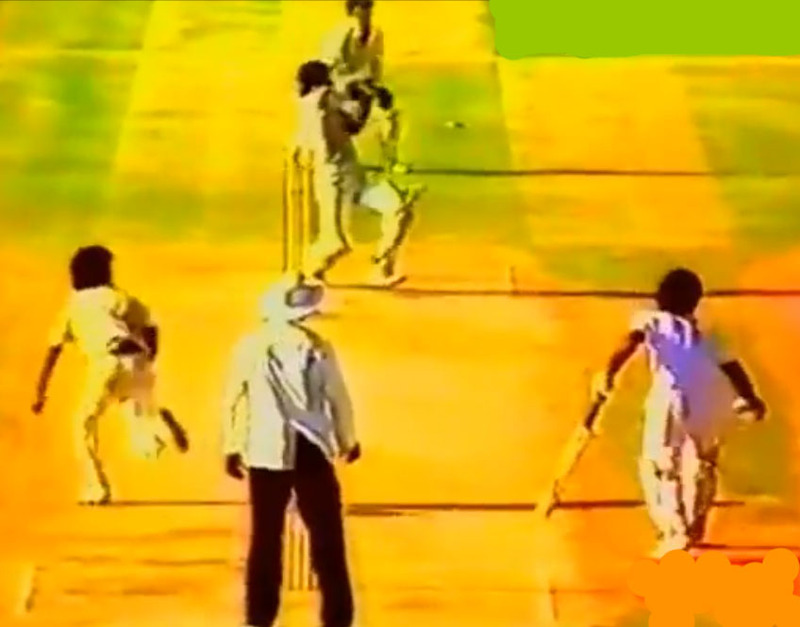 Instead of bowling a yorker, the ball almost flew out of his hand and ended up as a low full toss which Miandad smashed over square leg for a six, delivering Pakistan a thrilling 1 wicket win. Unfortunately, Sharma would be remembered for this ball which almost ended his career and never forgiven by Indian fans as their reign as the World’s No.1 ODI team was in doubt. Javed Miandad’s supremacy as a batsman was never questioned much after this game as Pakistan with this win and in particular that six, went on to hold a psychological advantage against India in their matches in the future and especially those in Sharjah. Six years later, and an unknown name does a Miandad. It is Asif Mujtaba, incidentally also from Pakistan to have achieved this feat. This was in a match against Australia at Hobart in the Benson and Hedges World Series in December 1992. Pakistan were now world champions and were expected to beat teams like Australia even in Australia for that matter. 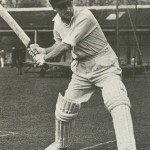 Australia won the toss and chose to bat first, eventually ending up with 228 for 7 in 50 overs, with the top score of 53 from the feisty Dean Jones. Yet, 229 was a tricky ask with Pakistan’s bowlers proving that the pitch had something in it more for the bowlers than the batsmen. Javed Miandad, who was Pakistan’s captain in this game was out for 14 so there were no heroics from him this time. Saleem Malik scored an impressive 64 while Rashid Latif went for the kill, in his 35-ball 39. However, Pakistan had a low run rate as they needed as many as 17 runs off the last over. Aaqib Javed had just come to the crease as No.11, joining Mujtaba. Australia’s captain Mark Taylor decided to give the ball to his ‘lucky charm’ bowler Steve Waugh since he thought that Waugh would perform yet another last over heroic. Unfortunately, Mujtaba lived up to his reputation more than Waugh, that of being a fine finisher and hit a six off the last ball to ensure that the match was a tie and ended up with 56 runs in 51 balls. Lance Klusener would not be amongst the ones to miss out on such chances, if they occurred on a regular basis. It took six more years for a player to achieve this feat, but this time it was a South African. 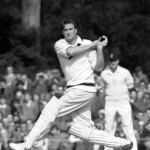 The match was against New Zealand in Napier and the hosts were 2-1 up in the series. They decided to bat first after winning the toss, despite the match reduced to 40 overs due to rain. South Africa bowled well to restrict the Kiwis to 191 all out in 38.4 overs with Roger Twose top-scoring with an unbeaten 77-ball 79 and Shaun Pollock and Jacques Kallis picking 3 wickets each for the Proteas. However, they seemed to choke typically again and were in dire straits after collapsing from 107/3 in 23.2 overs to 162/7 in 37.2 overs, needing still 30 runs to win in 16 balls. It reduced to South Africa requiring 11 of the last over with New Zealand having to bowl just two good deliveries to wrap up the innings. Dion Nash was given the responsibility by his captain, Stephen Fleming to bowl the last over. Mark Boucher hit the first ball for a single, which got Klusener on strike. Both the batsmen rotated the strike off every ball until the Proteas had to score 4 runs with only one ball remaining and unluckily for the Black Caps, Klusener was the man facing. One of the hardest hitters of the cricket ball, Klusener smashed the ball over the ropes to help South Africa pull off an unlikely win and level the series. The current Zimbabwean captain, Brendan Taylor, became a demi-god in his country after hitting a last ball six against a stronger Bangladesh team in 2006 in an ODI in Harare. It made him rise to fame in no time in the cricketing globe as the match also assisted in Zimbabwe leading the 5 match series 2-1, with the hosts going to win the series. Coming back to this game, Prosper Utseya, the Zimbabwe captain and spinner won the toss and elected to bowl first. Bangladesh batted in a mediocre fashion with only Aftab Ahmed getting the ball on the fence on several occasions. Rajin Saleh’s 54 was the top score in the Bangladesh innings which finished at 236 all out in 49 overs with Zimbabwe’s Anthony Ireland and part-timer Hamilton Mazakadza picking three wickets each. Zimbabwe came into the run chase confident, but after a good start they stuttered due to a hat-trick from fast bowler Shahadat Hossain. From 151/4, they were 151/7 and the No.9 Tawanda Mupariwa entered the crease with Taylor at the other end. It came down to 17 runs to get off the final over and it was all upto the bowling spearhead, Mashrafe Mortaza to get them the victory they deserved. It turned out to be an eventful over though as Mupariwa was run out of the second ball, with 1 run scored off the first 2 balls. But luckily for Zimbabwe, Taylor was on strike. Another dot ball followed but after that he hit a 6, a one-handed 4 and with 5 runs to win, he hit another 6 which sailed over the midwicket fence to upset Bangladesh in what was a spectacle of a game and a great advertisement for ODI cricket to be played between minnows especially. It is unexpected that a generally conservative batsman such as Shivnarine Chanderpaul would have the cohunes to hit a last ball six in an ODI run chase. However, he did it and that too in a manner which no West Indian or a Guyana fan would forget. It came against Sri Lanka in April 2008 in the first of the three match series at home. After looking at cloudy skies around, West Indies captain Chris Gayle won the toss and elected to bowl first. Chamara Kapugedara top-scored with 95 as Sri Lanka managed a mere 235/7 in 50 overs. Dwayne Bravo was the man responsible in the Lankans scoring that low, with 4 wickets for 32 runs in his 10 overs. When West Indies came out to bat, they must have heaved a huge sigh of relief after knowing that they did not have to face Muttiah Muralitharan’s bowling. Despite that, the visitors had a potent bowling attack comprising of Chaminda Vaas, Ajantha Mendis and Nuwan Kulasekara who performed well throughout the game except Vaas who was the culprit, throwing the game away for his country in the last over. West Indies needed 13 runs off just 6 balls. The No.11 Fidel Edwards scored 2 runs off the 3 balls he faced and Chanderpaul got only 1 ball to face, scoring 1 run. But fate was on his side as the Guyana man had to face the last two balls off Vaas. What was to be seen was as if a fairy tale was being performed on the cricket field. A four and then an amazing last ball six which was whacked over mid-wicket was the stuff of the folklore back then, and it was a minor hope West Indies cricket got. This was a tribute to Chanderpaul’s never-say-die attitude and it is fair to say that if there was no Gayle, it had to be him to win them from a precarious situation. While Vaas, the legendary pacer that he has been for Sri Lanka over the years, made the rare mistake of bowling a medium paced and low full toss to Chanderpaul on the last ball and his team had to pay the price for it. West Indies went on to win the 3 match series 2-0. What about Pakistan vs India ini The Asia Cup 2014 where shahid afridi hit a two consective sixes in the last over and pakistan won by one Wicke! !